Many smaller concessions in the state have been awarded away from public view. A recent news report reported a large swath of forest reserve of more than 500 hactares in Bukit Enggang, Sik Kedah has been logged without due Environment Impact Assessment (EIA). This is highly irregular. This forest reserve has been used by the villagers living in the foot hills of Bukit Enggang to dam up a river to collect water for their daily use. This river is heavily polluted by the logged forest located upstream which rendered the water not usable. Other logging concessions closer to villages were given out for logging in Bukit Enggang, Sik without any consideration of the impact of people living in the vicinity. Many other logging concessions were given in smaller parcels in other districts in Kedah away from public view and which are not monitored for proper timber extraction. Replanting of the logged forests is either not required or the replanting is not done to the prescribed standards. The greater forest reserve of Ulu Muda ie the districts of Padang Terap, Sik, and Baling which together account for some 162,000 hectares is an important water catchment and is the source of water for the Muda, Pedu and Ahning lakes which is critical for the double cropping of rice in the Muda Irrigation Scheme, for domestic and industrial usage in the three states of Kedah, Perlis and Penang. 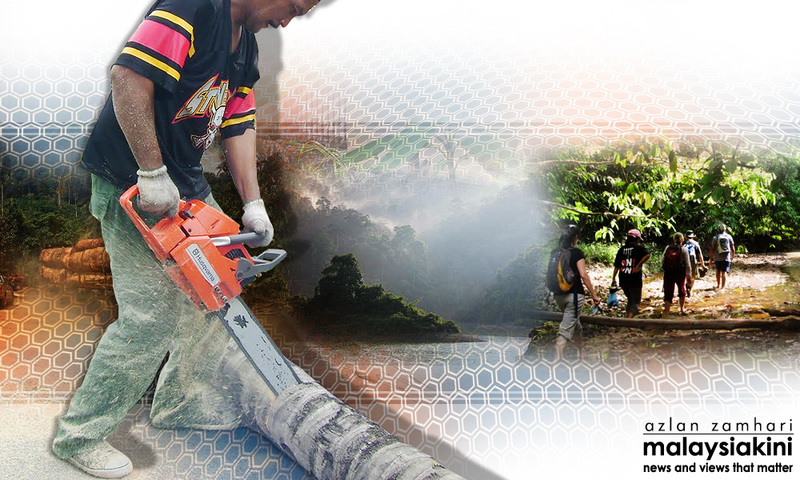 Timber extractions licenses have also been given out in the southern part of the Ulu Muda forests and which are encroaching closer and closer to the three dams. Besides the important water harvesting role of the Ulu Muda forests, the forests are extremely rich in biodiversity of flora and fauna including the mega-fauna like the Asian elephant, Malayan tapir and leopard. It has potential for eco-tourism such as sport fishing, nature photography, bird watching, etc. which could be developed to derive an alternative revenue source to timber for the state. The Malaysian Nature Society urge the authorities concerned to put a stop to all illegal and unsustainable logging in Ulu Muda forest reserve to preserve the vital water catchment and its rich biodiversity. The writers are Malaysian Nature Society president and Kedah branch chairperson respectively.